Elizabeth Carpenter brings her maze-making talents to a beautiful collection of mandalas. Each of the 30 mandalas in this book have been made specifically for adult coloring, while Elizabeth has cleverly created a brain-teasing maze running through each one. These mazes are not the typical easy types you may remember from your childhood. They are truly challenging brain-teasers that instantly draw in all who see them. 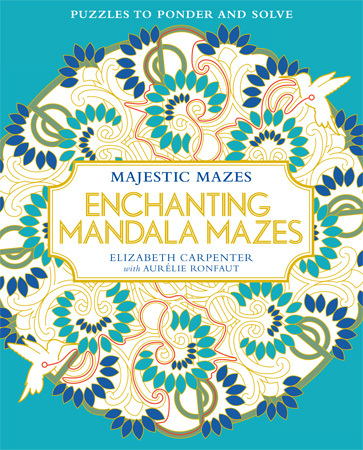 Each mandala/maze in Majestic Mazes: Enchanting Mandalas is printed on perforated pages to allow for easy removal and display. Combining the calming nature of mandalas and coloring with the engaging task of working through a winding maze makes for an activity that stimulates both the creative and critical parts of the brain. It's a perfect pairing for all who want to explore new aspects of adult coloring.